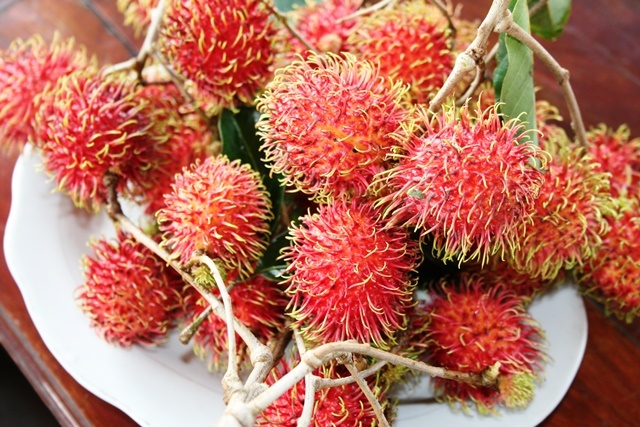 Rambutans or chôm chôms in Vietnamese. Rambutans—Their Vietnamese name, chôm chôm, means “pointy” for the soft spines covering them. My husband says chôm also means steal. Growing up he thought the name meant “steal steal.” “Steal steal” is the perfect name because that’s how good they taste.